These proceedings reflect some of the thoughts expressed at the Oberwolfach Conference on Porous Media held June 21–27, 1992, organized by Jim Douglas, Jr., Ulrich Hornung, and Cornelius J. van Duijn. Forty-five scientists attended the conference, and about thirty papers were presented. 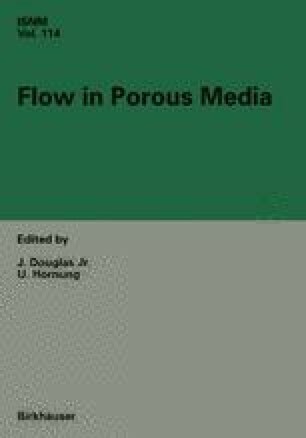 Fourteen manuscripts were submitted for the proceedings and are incorporated in this volume; they cover a number of aspects of flow and transport in porous media. Indeed, there are 223 individual references in the fourteen papers, but fewer than fifteen are cited in more than one paper.